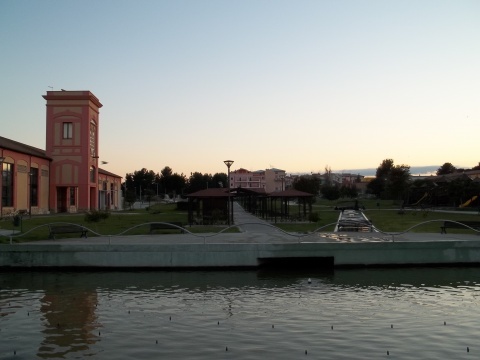 The Ex Vetreria Park is located in the heart of Pirri, a small town included in the territory of Cagliari. The entrances of the park are accessible from via Italia, from the extension of via Fosse Ardeatine and from via Ampere. The area, about 25,000 square meters wide, is equipped with several paths connecting various zones: the rest stop, the playground, the dog-friendly area the outdoor cinema-theatre and the arcade that leads from there to the beautiful fountain. Opposite the cinema, there is a basin provided with gushes, linked to a second basin by means of a stream that flows across the park. The park houses a large variety of Mediterranean plants and is accessible even at night, thanks to a powerful lighting. Moreover, the area is provided with one hundred parking lots.